Acupuncture / Traditional Chinese Medicine is a system of healing which aims to regulate and stimulate the channels of energy called Qi within the body. result in symptoms of pain or illness. Treatment is aimed at the symptoms you are experiencing, as well as the underlying causes. As a result, you may notice other problems resolve as the main health complaint improves. Muscular problems; injuries, back, neck, shoulder and knee pain. RSI. Women’s health; menopause, menstrual pain and PMT, breech presentation and morning sickness. Allergies; hay fever, nasal drip, sinus problems. Circulation issues and high blood pressure. Digestive complaints; bloating and nausea. Emotional problems; Depression and Anxiety. Samina graduated from the University of Salford in 2006 with a 1st class Bachelor of Science degree with honours in Traditional Chinese Medicine. 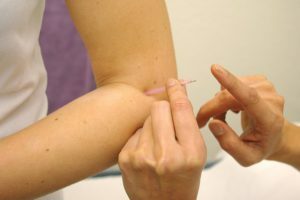 (Acupuncture). Samina is committed to continuing her professional development and after Graduation spent 3 weeks at the First teaching hospital of Tianjin University, China. Since Graduating she has had 2 children but has continued her studies with courses in moxibustion, Japanese Acupuncture and is trained to level II in Reiki. She is currently studying Dr. Tan’s balance method of Acupuncture and is looking forward to attending a course on Acupuncture for Addictions later on this year. Samina believes Traditional Chinese Medicine can be an effective therapy to reduce pain and promote physical and emotional harmony. She believes that it can work in a complementary manner to modern western medicine helping people to regain and maintain their health. 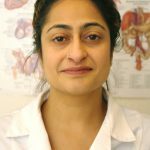 Samina primarily uses Acupuncture to help alleviate health problems but also utilizes Acupressure, Massage, Cupping, Moxibustion and Gua-Sha in her treatments. Samina is a member of the British Acupuncture Council, (www.acupuncture.org.uk) and follows their code of practice and holds professional indemnity insurance. Samina is happy to discuss any queries you may have regarding treatment. To arrange an appointment or for further information, please call 0161 445 1018.